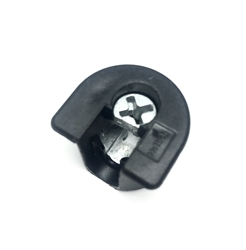 Hettich offers a wide variety of connectors fittings, OVIS stocks the most popular. Non-stock items are available for special order. 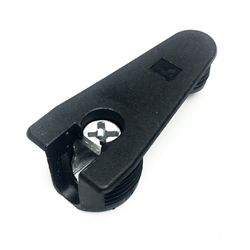 Hettich offers a wide variety of connectors fittings and cam lock fasteners for furniture and cabinets. OVIS stocks the most popular. 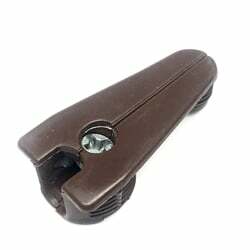 Non-stock items are available for special order. 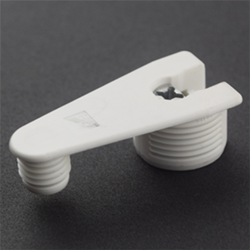 The Hettich VB series and the Rastex series are our most popular and versatile connectors. Strength and easy assembly are the most important factors when choosing a connector for your ready-to-assemble (RTA) products. 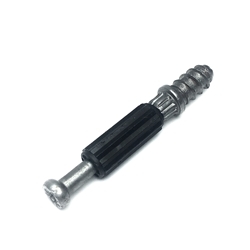 The Rastex has a long cam lock screw, usually 30mm, which create a stong connection between the cabinet wall and fixed shelves. 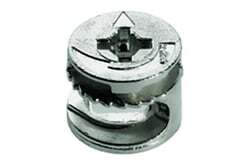 The VB cam connectors have the versatility of being able to install a fixed shelf after assembly is partially complete, For instance, if the furniture has already had the top and bottom panels installed by the consumer, the middle shelves can still be added, as the VB cam fitting has a side opening so the shelf can be dropped on the cam lock screws, and then the cam can be turned to lock it in place. This benefits the consumer by not having frustration of dis-assembling and starting over. 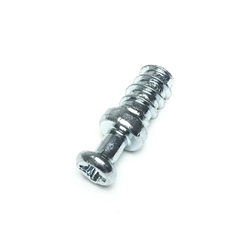 Dowel DU 321 SI 6.7 X12mm Pozi. Box of 5000. VB 36 M/19 white. Bag of 500. VB 36 M/19 Black. Bag of 200. VB 36 M/19 Brown. Bag of 500. VB 35 M/19 Black. Bag of 200. RASTEX 15/15 D Zinc Self Color. Bag of 2000. RASTEX 15/18 D Zinc Self Color. Bag of 2000. Rastex 15/29 W/o Rim Self Color. Bag of 2000. Rastex DU232T Twister Dowel 30 mm Bag of 2000. 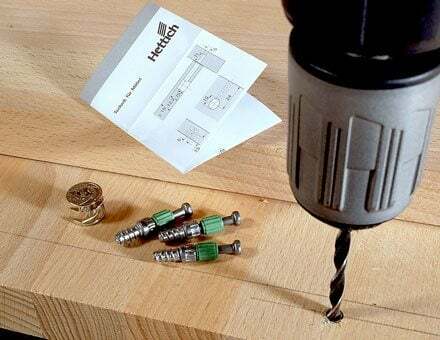 Hettich VB Connector Drilling Jig.